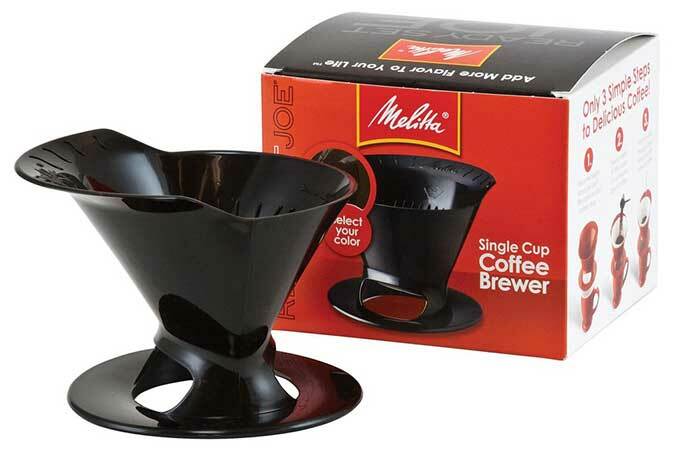 This simple plastic cone coupled with a filter is the best tool I have found for quickly making great tasting coffee. I have tried a French press but found the coffee to be gritty and bitter never quite figured it out. Automatic drip coffee makers are expensive and don’t provide much control over water temperature, not to mention the amount of wasted coffee when all I really wanted was a single cup. And honestly, I initially picked up this cone because it was affordable when compared to the previously reviewed Yama Vac Pot or Aeropress. This cone ($9) is so simple that it almost defies the need for an explanation. Put a #2 cone coffee filter in and fill it with the desired amount of ground coffee (I use extra-fine), and pour as much hot water over it as you like. You may need to refill it if you like larger cups of coffee. In less than 60 seconds you will have made a fresh brewed cup of coffee that tastes better than any from an automatic machine, or the bitter stuff from Starbucks that’s been sitting around all day. The one thing I don’t love about this cone is the need for a filter. Despite that, the filters are cheap and can be found in most grocery stores. I was really convinced that these cones were the best when I went to Blue Bottle Coffee in San Francisco and watched professionals make great coffee this way. They use a more expensive ceramic version, but the basic idea remains the same. Small, simple, easy to clean, and cheap. Cool.